What is the reality? To what extent do we allow our reality to be influenced by the technology around us? Choreographer David Middendorp, internationally known for America's Got Talent, deals with reality in a playful way and investigates the way in which technology seems to play an increasingly important role in its formation. Where dancers literally collide with digital bits, let themselves be guided by their own feeling, fantasy, and rhythm and where dancing drones let you experience a different reality. The innovative thing about this performance is that with Sioux technology the dancers can control 12 drones at once, in contrast to pre-programmed drones, as is customary. Sioux provides the real-time calculation of velocity and position profiles of the drones on the basis of an optical measurement system, trajectory prediction, and anti-collision algorithm. 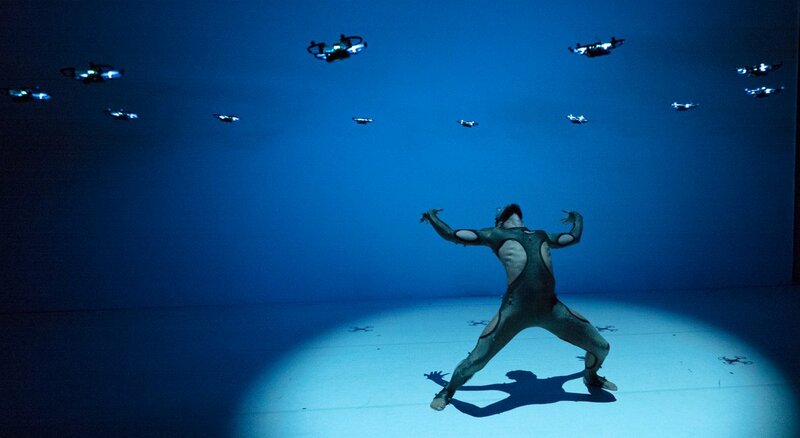 Together these modules allow the dancer to control the choreography of the drones in live interaction. This provides a spectacular opening of the show that we would like to share with you. Application in art is the best proof to demonstrate what the power of mathematics offers in practice.